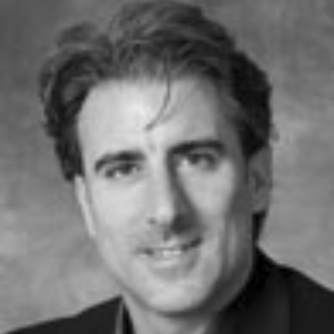 Steve Rubel is EVP/Global Strategy and Insights for Edelman - the world’s largest independent public relations firm. In this role, Rubel studies the future of media and works across the firm’s practices and geographies to help clients unify their communications strategies across traditional, emerging, owned and social channels. 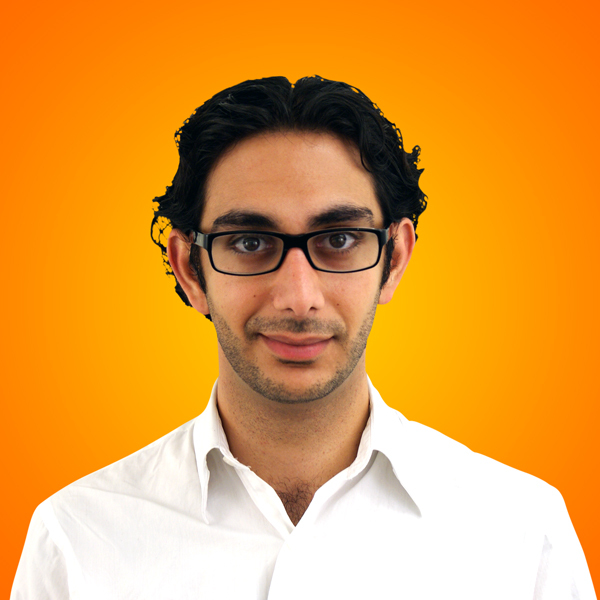 In addition, Rubel also acts as a highly visible Edelman thought leader and writer on media, technology and digital culture. He speaks dozens of times each year around the world and appears frequently in the press. In addition he actively shares his observations and insights through his blog, his monthly Advertising Age column, on Twitter where he is followed by more than 55,000 and Google+ where he is followed by more than 16,000. Rubel has been named to several prestigious lists, including: PR Week’s 40 Under 40 and The Forbes.com Web Celeb 25. Prior to joining Edelman in 2006, Rubel worked for 15 years in a variety of marketing communications positions in corporate, non-profit and small/mid-sized PR firms. 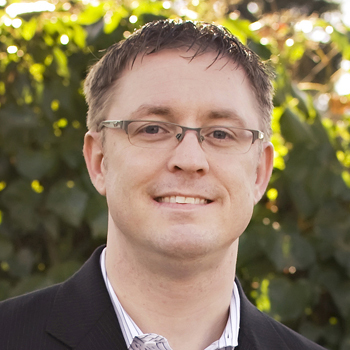 Jeff Haynie is Co-founder and CEO of Appcelerator. 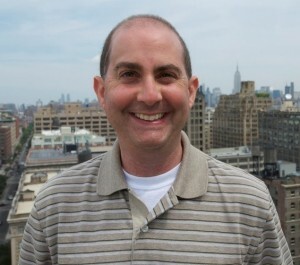 Jeff is a long-time serial entrepreneur, technologist and blogger. Previously, Jeff was Co-founder and CTO of Vocalocity, a software provider in the communications arena and before that, CTO of eHatchery, a digital incubator and off-shoot of Bill Gross’ idealab!. 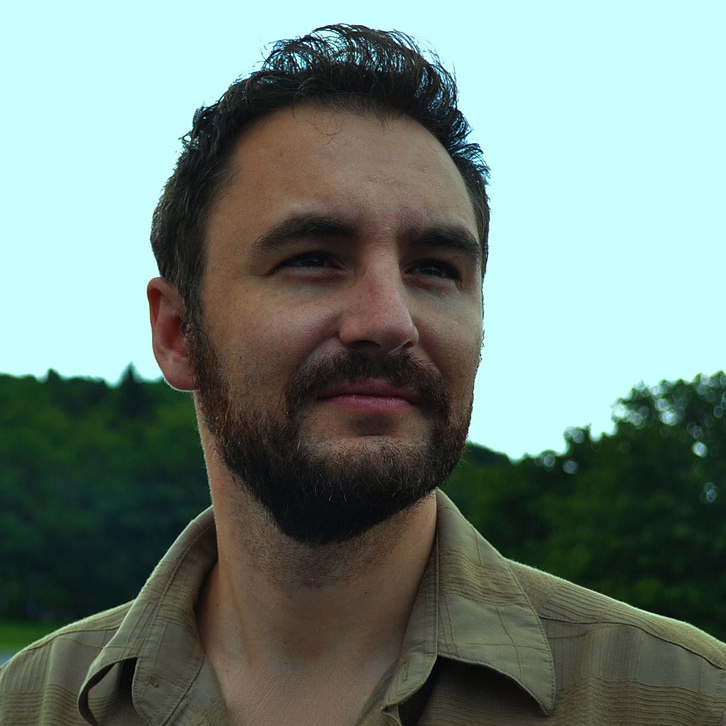 Jeff has worked on numerous standard committees such as IETF and W3C as well as core contributor to a number of important open source technologies such as JBoss and OpenVXI. Jeff served with distinction in the U.S. Navy. Jeff blogs at http://blog.jeffhaynie.us and can be found on twitter @jhaynie. 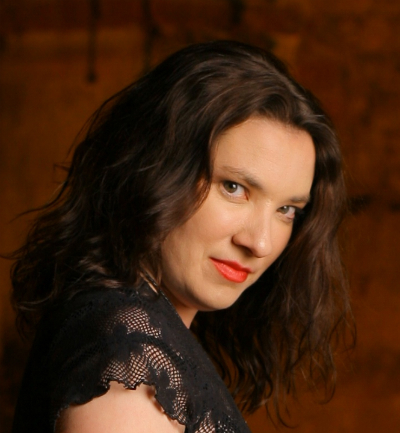 Maryn McKenna is a blogger for Wired and a journalist for The Guardian, SELF, More and MSNBC among other publications. She is the author of SUPERBUG: The Fatal Menace of MRSA (Free Press/Simon & Schuster, 2010), an investigation of the global epidemic of drug-resistant staph which received the 2011 Science in Society Award, and BEATING BACK THE DEVIL: On the Front Lines with the Disease Detectives of the Epidemic Intelligence Service (FP/S&S, 2004), which recounts a year she spent embedded with the CDC’s rapid-reaction force and which was named a Top Science Book by Amazon and an Outstanding Academic Title by the American Library Association. Previously, she was a medical writer at the Atlanta Journal-Constitution and a projects reporter at the Boston Herald and the Cincinnati Enquirer. She lives in Atlanta and Minneapolis. Danica Kombol is the co-founder of Everywhere, a leading social media marketing firm based in Atlanta with clients such as Macy’s, Qualcomm, LexisNexis, Cox Communications, and others. Everywhere holds the Guinness Record for the “most widespread social marketing message” as a result of their social good campaign, #BeatCancer. As a Social Media marketer, Danica draws on her extensive background as a television producer and public relations executive. She blogs about social media at www.beEverywhere.tv and about her eclectic travel adventures at BeirutorBust.com. Danica serves on the board of the Atlanta Women’s Foundation. You can follow her on twitter @danicakombol. 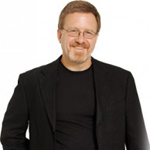 Steve Miller is the founder and president of Legacy Educational Resources, producing life skills resources used in every state and over 30 countries. He’s both self published and traditionally published, with one of his books being translated in five languages. His most recent book is Sell More Books! Book Marketing and Publishing for Low Profile and Debut Authors. 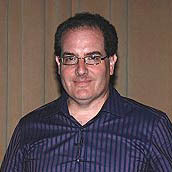 Topher Kohan came to CNN.com, a division of Turner broadcasting and a Time Warner company, in early 2008 after two years at the Centers for Disease Control and Prevention. As the in-house SEO coordinator for CNN’s digital news properties (including CNN International and iReport), he has overseen a 17 percent increase in traffic from search year to year and oversaw one of the single largest search traffic days in the site’s history with the 2008 presidential election. He also over saw all of the SEO for the Fall re-launch of CNN.com. Topher graduated from the Art Institute of Atlanta with a degree in Web development and interactive media design with an emphasis on SEO/SEM. 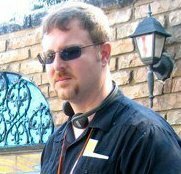 Before working in the SEO world, Topher was a lighting designer / tour manager / production manger for various entertainment companies and touring groups. 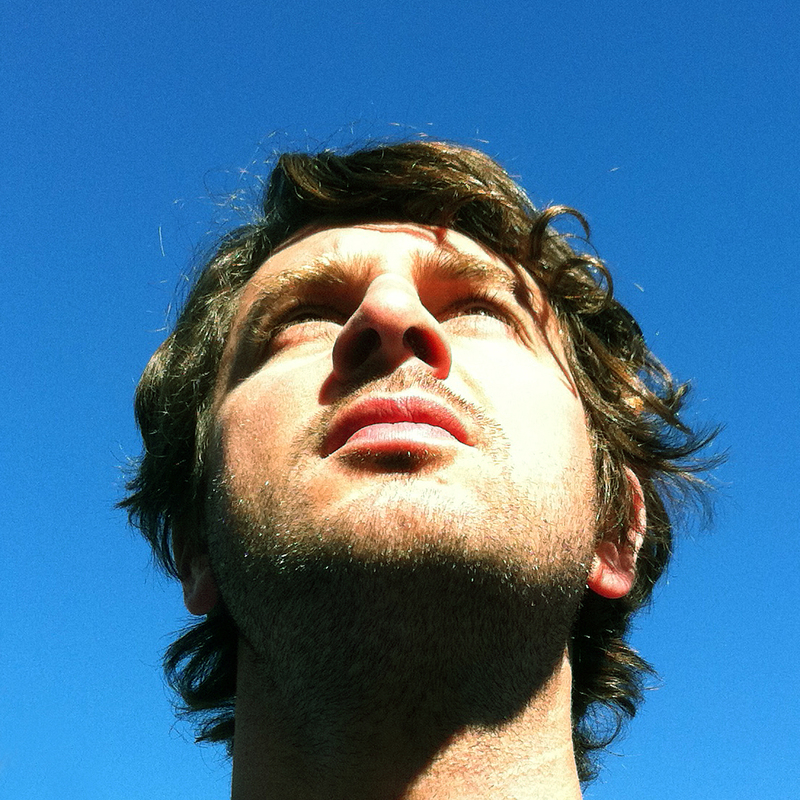 Adam is a co-founder of Looxii (look-see), a small social media analytics startup based in Atlanta. His daily routine is never really the same, but it almost always includes handling business development, providing customer support, designing/tweaking user interfaces, and dreaming about crazy social media reports and lunch. He has one foot firmly planted in the humanities (BA in English, University of Maryland) and the other in technology (MS in Digital Media, Georgia Tech). You can usually spot him zipping around the ATL by bike to meet with clients and colleagues. 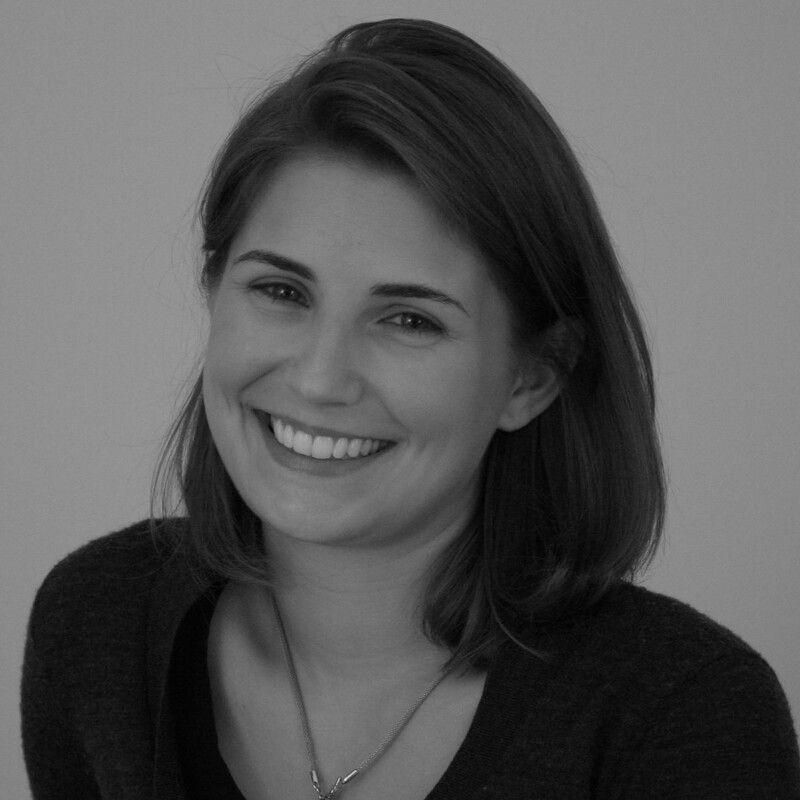 Sloane is the co-founder of Geekend, a growing interactive conference based in Savannah. Geekend is just one of many outlets for her passion surrounding emerging technology and content. She’s also the Interactive Strategy Director for BFG Communications, where she develops digital strategies and oversees web content for brands like Coca-Cola, Buffalo Wild Wings, and Moet-Hennessy. When she’s not geeking out over social media and technology, she loves traveling, cooking, watching the Yankees, and hanging out with her dog (he’s also on Twitter). Hafez has over six years of experience in marketing and strategic communication, and has worked in fields ranging from non-profit advocacy to international development to public interest law. Hafez graduated from the University of California, Irvine with high honors, majoring in International Studies and Psychology and Social Behavior. Patrick Rodgers has used his lifelong passion for writing in a variety of capacities during the course of his professional life. His published work stretches from celebrity profiles to investigative features on corporate malfeasance. Most recently, he served as the Community Editor for Connect Savannah, a weekly newspaper in Savannah, GA, where he covered politics, public policy and visual arts, among other subjects. Because journalism rarely pays as well as it should, he’s also dabbled in marketing, public relations, social media management, content development, brand strategy and any number of other odd jobs, from painting houses to throwing pizza. In his free time, Patrick is also an amateur hip hop historian, a record collector and a DJ. He currently lives in Denver, CO with his wife Carrie and their two cats. 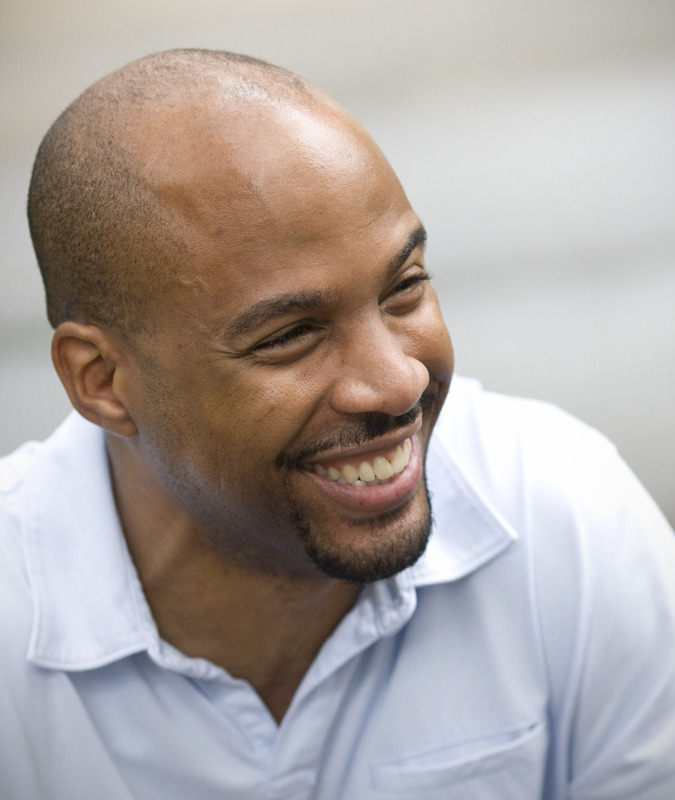 Andrew’s multifaceted interests have taken him from small beginnings in advertising on the island of Barbados, to Mississippi where he helped build the ad agency MadGENIUS Inc. Throughout his career he’s worked with The Weather Channel, CNNi, Gulfstream Aerospace, Paula Deen Enterprises and has won numerous national print and motion design awards in the process. Andrew now leads the creative team at Paragon Design Group where, in addition to presenting on matters of design & creativity, he straddles the worlds of print, web and motion graphics media. 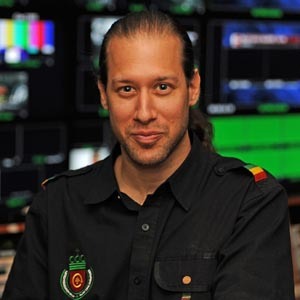 He’s been featured in publications from Layers magazine, American Corporate ID, and Hoffstra University Press, and has had films screened at the Traveling Caribbean Film and Animae Caribe Festivals. While he finds commercial work intriguing, he balances Paragon’s workload with projects for non-profits like AWOL (All Walks Of Life) an arts-based after-school program for at-risk youth, and CAVU (Clear Air Visibility Unlimited) an environmental agency concerned with the earth’s waterways. He currently lives in Savannah, GA with his wife Carla. 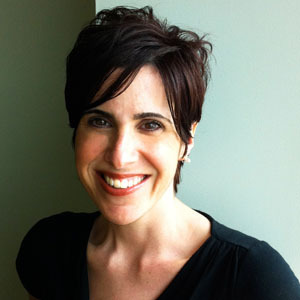 As senior director for Nurun, Nancy is responsible for managing the company’s marketing, communications, and business developments efforts in the United States. A part of the leadership team in Atlanta, she also works on international activities related to Nurun’s internal and external communications; public relations outreach, including media relations and executive visibility; and marketing and business development strategies. She is also an integral part of Nurun’s worldwide communications team, which includes professionals in Canada, France, Italy, Spain, and Asia. 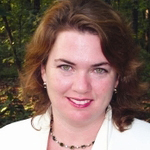 Mandy Mahoney is the Vice President for the Southeast Energy Efficiency Alliance. Founded in 2006, the Southeast Energy Efficiency Alliance (SEEA) is a nonprofit that brings together a diverse group of stakeholders to promote energy efficiency for a cleaner environment, a more prosperous economy, and a higher quality of life in the Southeastern United States. Prior to joining SEEA she served as the Director of Sustainability for the City of Atlanta under mayors Reed and Franklin. She serves on the Board of Directors for Georgia Organics, the Atlanta Chapter of Ducks Unlimited, Green Chamber of the South, and the Caretta Environmental Leadership Award. 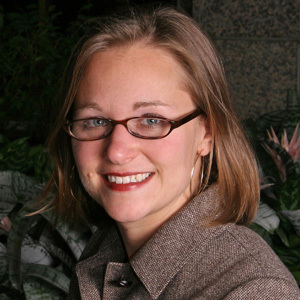 She is a graduate of LEAD Atlanta 2010, Institute for Georgia Environmental Leadership 2010, and the 2011 American Council on Germany Young Leaders Program. 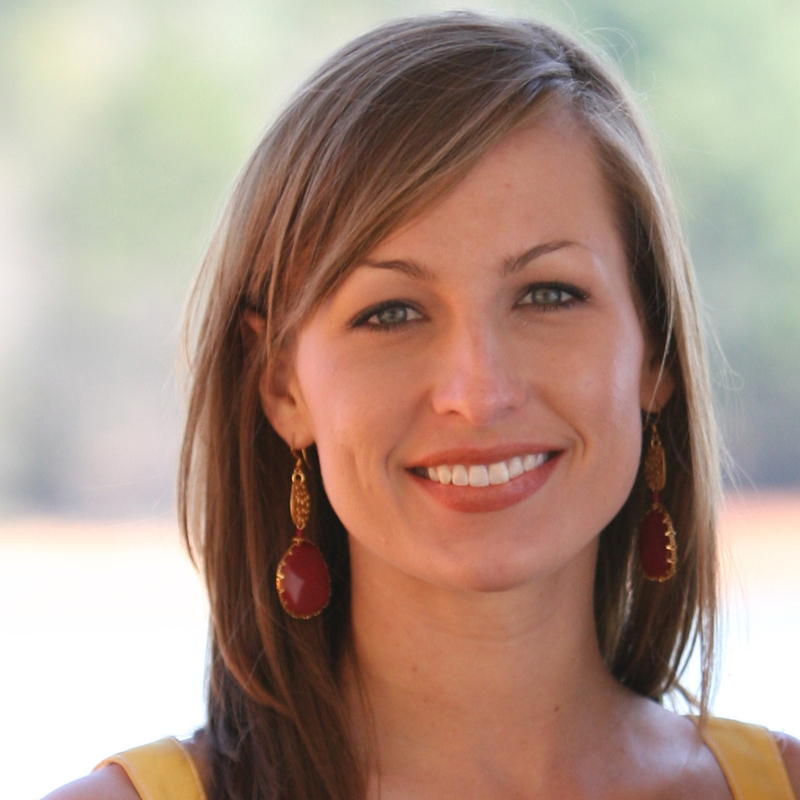 Mandy has a master’s degree in environmental management from Duke University. She also earned a law degree and a bachelor’s degree in biology and environmental studies from Emory University. 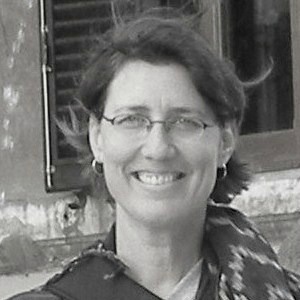 Beth Bond, the Curator of green and sustainable business news at Southeast Green, joined forces with Sandra Cummins in the summer of 2008. Beth took over day to day operations in November of 2010 while Sandra Cummins chose to move to an advisory capacity. A Southerner herself, Bond was tired of hearing about everything “green” happening outside her native region. Owning her own marketing company for over 15 years and working with green companies, Beth knew the story of sustainability and green resided here in the Southeast. There was just no one place to tell the cohesive story of all the things that are happening in the Southeast. Since relaunching Southeast Green in September 2008, Bond has been establishing even broader liaisons and partners to help continue the story of green and sustainability. 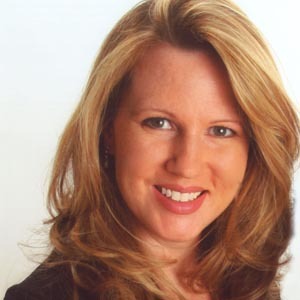 Desiree Scales brings extensive expertise in web design, branding, search engine optimization, online marketing and social media coaching to customer projects at her award-winning company, Bella Web Design, Inc. Her team works with companies located in the U.S., France, Italy and Canada and expands it’s reach each year. With a background as a web designer for a major U.S. corporation, Delta Air Lines, Desiree delivers sound advice and outstanding solutions for Bella Web Design business customers. Her expertise and experience have evolved into a passion to educate business owners about Internet technologies that foster success. She has been a featured speaker at companies, conferences and seminars around the U.S. Desiree also hosts The Bella Buzz, a weekly podcast dedicated to online marketing topics, tools and tips for business owners. As CEO of User Insight, Eric Holtzclaw identifies strategic service offerings and oversees operational excellence and innovation across the business. 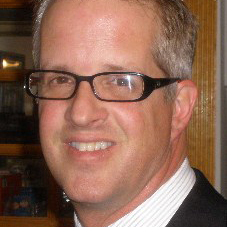 Eric’s 20+ years of experience include work for a variety of successful startup companies including GeoMedica, Information America, OneCoast and CyberSource. Eric has been responsible for the successful implementation of more than 30 consumer oriented and internal use products and services throughout the United States, Canada, Europe and Saudi Arabia. His work at User Insight gives Eric the unique opportunity to interview thousands of users across industries and leverage the rich, qualitative data collected to drive move-forward strategies for some of the world’s most well-known brands. In the past year, Eric has led the User Insight research team in the execution of the social TV research initiative, focused on understanding behaviors exhibited in users’ homes and how the social TV revolution stands to change how people watch, interact and consume TV content. Follow Eric on Twitter at @eholtzclaw. Selah began as an entrepreneur in 1991 by bootstrapping a startup retail and wholesale clothing line that grew from $1800 to several million in annual retail sales, franchised retail locations, and online sales before “e-commerce” was a foregone conclusion. Following the sale in 1998, he moved to New York to work at Grey Worldwide, the 3rd largest Ad and Branding Agency in the world, specializing in interactive marketing, online branding, and breaking open the Latin American market before it was recognized as the current powerhouse that it is. Currently, Selah splits time between a day gig at Turner Studios (post-production house for the Turner Networks, CNN and outside clients), and managing an international entertainment promotions and production company, with locations in Atlanta, Germany, and South Africa. Selah’s FutureMoguls Foundation trains young South African media producers and entrepreneurs, and has recently launched SAPP – a ‘sister organization’ to GA’s GPP. Andrea Busse is considered a global authority in mobile engagement technologies and continues to out-innovate the market with IntelaText’s un-matched combination of highly effective technologies, easily adapted for any industry or company’s initiatives. Through her futuristic thinking, Andrea ensures that IntelaText remains the front runner in innovation while maintaining a solid set of proven business solutions for mobile engagement. Since founding the company in 2008, she has been responsible for the rapid growth and acquisition of major accounts including NASA, Sunglass Hut, ESPN, AT&T, Coca Cola, NCAA Football/Basketball, and Century 21. She also pioneered the first mobile platform capable of sending mobile communications in over 200 languages, and was recently named Mobile Marketer of the Year 2011 at the Tech Marketing Awards. 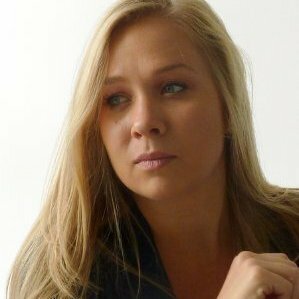 Jacqui is the principal at iFusion Marketing, a fractional CMO consultancy for high growth companies and technology start-ups. 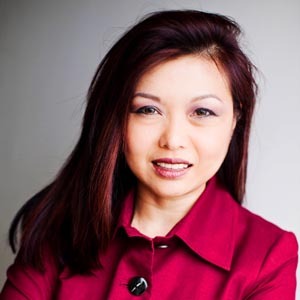 She is an award-winning strategic marketer with a passion for helping businesses identify and connect with the right audiences throughout their products’ lifecycle. An active member of the Atlanta technology and business community, Jacqui was an early adopter of social media and began actively incorporating social elements in marketing plans in 2006. She has spent the last 15 years leveraging digital and traditional programs to help enterprise software, Internet, information security and consumer products and services companies build their business. 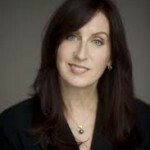 Jacqui has successfully launched dozens of companies and products including Silverpop, PeopleSoft and eBay and will launch the “Art of the Launch™” conference concept in the spring of 2012. 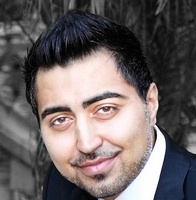 Hafez is a researcher at Georgia Institute of Technology and the chief architect of the Argon Browser, a revolutionary browser platform for creating and delivering augmented reality experiences on the Web. His research interests include Augmented Reality, Information Visualization, and Wearable Computing. 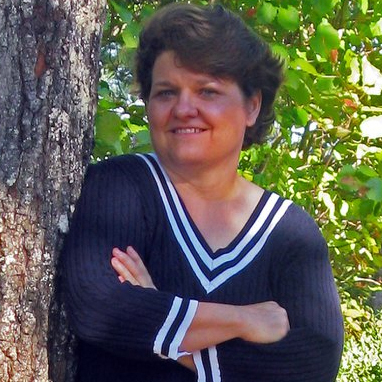 Freelance writer and new media marketer Lisa M. Russell, administrator of Georgia Writers Association, has worked to make the organization a literary trust agent for the diverse writing communities in Georgia. She recently wrote about her experience creating a social media constellation in the non-profit sector for “Social Media in Context: Writers Explore the Marketplace”, a collection that is being edited by Dr. Anne Richards. Lisa is completing a thesis on writing in the digital environment for her Master of Arts in Professional Writing degree. Nancy Rogers established BOLDface Communications in 1989. She founded Green Earth PR Network, a consortium of proven public relations and marketing professionals experienced with sustainability throughout North America—Atlanta, Washington, Chicago, Houston, Los Angeles and Toronto—in 2007. She has focused on green communication strategies for more than 10 years. In addition to experience in government, corporate and non-profit settings, she has worked with clients in green building, technology, hospitality and banking. Rogers quickly assesses situations and assembles the necessary tools and talents to meet objectives with respect for details, deadlines and budgets. As the Director of Communications and Administration for EarthShare of Georgia, Elizabeth raises critical funds for more than 60 environmental member groups all dedicated to conserving and protecting our air, land and water. She has strengthened ESGA’s brand and established a social media presence for ESGA, which has become an online community to better promote environmental issues, volunteer opportunities and fundraising events for the member groups. In her five years at ESGA, Elizabeth has also doubled the number of participants in their three key Earth Day events each April. As the Executive Director for the U.S. Green Building Council – Georgia Chapter, Carter’s primary responsibility is growing USGBC-Georgia’s role as a leading educator and advocate for sustainable communities, green jobs and green building. Under her leadership, USGBC-Georgia has grown to five active Branches in Athens, Atlanta, Augusta, Macon and Savannah; and a developing Branches in Columbus. Tomer Tishgarten is the Vice President of Technology at Engauge (Engauge.com),one of the nation’s largest independent agencies. He leads a team of innovation engineers which is responsible for integrating platforms and developing custom social, mobile and web applications. Over the past 13 years, Tomer has consulted on a variety of digital projects for many of Atlanta’s top local companies, including Carter’s, Coca-Cola, Chick-fil-A, The Home Depot, Internap, NCR and LexisNexis and Fortune 500 companies, such as Cisco, IBM, Nationwide and Target. 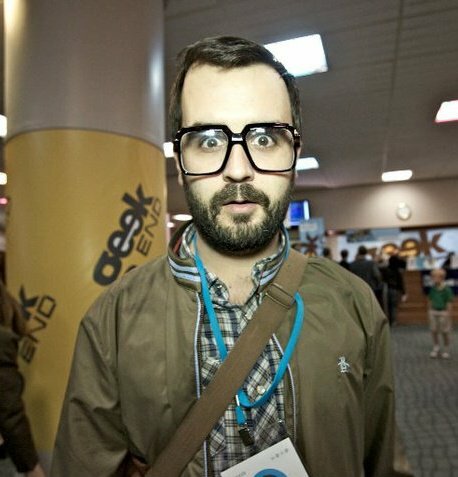 In addition to writing about the convergence of marketing and technology on his blog (AllThatIKnow.com), Tomer has also contributed to popular online sites such as CNN, CMSWIre, Mashable, PBS MediaShift and ZDNet. At Trevelino/Keller, Dean’s role is to manage jointly the direction and growth of the firm, while taking a hands-on role as the architect of client and agency programs and having strategic involvement throughout the execution. The firm’s experience includes work with TCBY, Mrs. Fields, The Weather Channel, Raving Brands, Moe’s Southwest Grill, SITA, EarthLink and more. In 2011, the agency rolled out WheelhouseTK, an open community weblog that aggregates each of its initiatives with the sole purpose of creating collaboration among experts, from its Start-Up Council (early stage assistance) to PRStarbase (communications talent portal) to Atlas Alliance (international boutique network) to X/pert Net (network of subject matter specialists). Dean has appeared in print and television on topics ranging from public relations, real estate, small business, crisis preparedness, social media and franchising. Published on Creative Public Relations with the Inside the Minds Series, Dean speaks regularly at industry shows such as NRA, Dine America, Social Media Atlanta and more. Most recently he spoke at FOHBOH on Social Media For the Foodservice Industry. Dean earned an M.A. in organizational communications from The University of Alabama and a B.A. in English from Pennsylvania State University. An entrepreneurial technologist, Andrew Zuercher has had more than 15 years of experience architecting and developing enterprise software solutions. He is the founder of e2e, the developers of the successful Scoutmob mobile app. 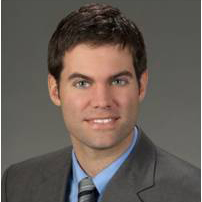 Andrew holds a BS in Information Systems and a MS in Information Systems from Carnegie Mellon University. He is a hands-on technical lead that still loves to code, puts the client first, attacks projects with relentless hard work, and is a night owl. 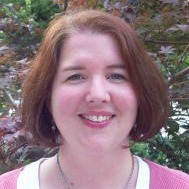 Laura McGrath is an associate professor of English at Kennesaw State University, where she serves as associate director of distance education for her college and teaches a variety of rhetoric/composition and professional writing courses. Her teaching, research, and service activities focus on digital writing, online learning, and faculty development. Recent publications include an edited collection, Collaborative Approaches to the Digital in English Studies (CCDP 2011), and chapters in Adrienne Lamberti and Anne R. Richards’s Digital Practice, Digital Divergence: A Professional Communicator’s Guide to New Media and Cheryl Ball and Jim Kalmbach’s Reading and Writing New Media. Kendrick Woolford is the Marketing Manager at ShopVisible, an Atlanta-based ecommerce company that powers the websites of brands and retailers such as Office Depot Canada, Tempur-Pedic, London Fog, Ed Hardy and Loehmann’s. Kendrick is a graduate of Emory University with degrees in psychology and linguistics. Her passion and understanding of marketing and ecommerce is rooted in her interest in people and how they interact with the world around them using language & technology. As Marketing Manager at ShopVisible, Kendrick is dedicated to sharing the stories that highlight how the ShopVisible platform transforms their clients’ business. Prior to working at ShopVisible, Kendrick worked in the Enterprise IT department at T-Mobile. 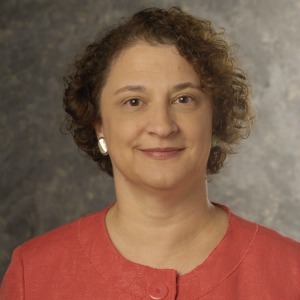 Evelyn Larrubia is the editorial director of the Investigative News Network, a consortium of 60 nonprofit newsrooms in North America that produce nonpartisan investigative and public service journalism. She has been a reporter and editor for 20 years, most of it at the Los Angeles Times. Her stories have led to criminal charges and convictions and significant changes to state laws. They have garnered a dozen national journalism awards, including The Scripps Howard National Journalism Award for Investigative Reporting, the Associated Press Managing Editors Public Service Award and the Livingston Award for Young Journalists. While the Times, Larrubia co-authored a series outlining critical failures in protecting the elderly and disabled by California’s guardianship system. She also uncovered self-dealing in Los Angeles’ $20-billion school construction program and exposed open meetings law violations by the Los Angeles County Board of Supervisors. She has worked as a staff writer for El Nuevo Herald and the Ft. Lauderdale Sun-Sentinel and as associate editor for the Los Angeles Daily Journal. Larrubia spent the 2010-2011 academic year at Stanford University on a John S. Knight Fellowship, looking at funding models for investigative reporting and learning about reader engagement. 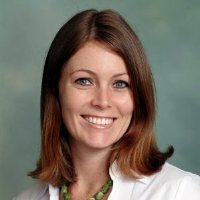 Kennesaw State alum Maria (Yanovsky) Stephens is a serial communicator, creative catalyst and B2B public relations specialist at a leading industry leadership consulting firm working in energy, oil/gas and technology – She’s merged her interests in science and communications into a career in B2B PR. 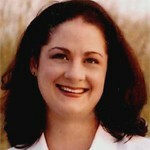 Maria is an award-winning photographer and writer, and a nationally recognized print & web designer. She is maximizing her skills in marketing, design, corporate consulting and social media at Write2Market, an integrated marketing agency based in Atlanta. Shelby Sapusek is a social media and marketing consultant whose passion revolves around the way information is shared and the technology behind it. 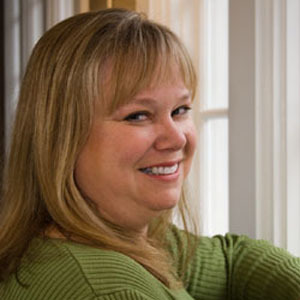 Shelby spent 17 years in the print media industry as a reporter, blogger and designer. She describes herself as a social media hound who is a shameless promoter of all things great. Shelby is also the marketing coordinator for Jim Raffel’s company ColorMetrix. After working side by side, Shelby and Jim started a venture through blog posts and on Twitter called “She Said, He Said” where they debate social media and blogging topics. Shelby’s handle on Twitter is @ShelMKE and the weekly chats can be found by following the hashtag #shehechat every Thursday at 8 p.m. CST. As the social media marketing manager at The Weather Channel, Renee Willet is responsible for managing all brand presence in social media as well as integration of social media onto The Weather Channel properties – on television, online and on mobile. She oversees distribution on and relationships with platforms such as Twitter, Facebook, YouTube, Tumblr, Google+ and more. With The Weather Channel since October 2005, Renee previously worked as a content manager and a marketing manager before taking the official reins overseeing social media. 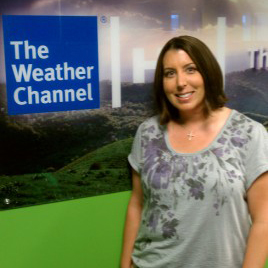 While at The Weather Channel, Renee has been recognized for her excellence as an associate twice as a STORM Award recipient. Prior to The Weather Channel, she worked as a marketing coordinator at Pearson/Prentice Hall. A native of Garfield, NJ, Renee earned her bachelor’s degree in psychology from Rutgers University and her master’s degree in management from Stevens Institute of Technology in Hoboken, NJ. 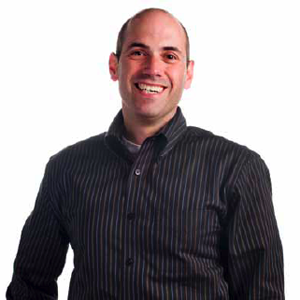 Jim Raffel is a business owner, writer, and public speaker. Through his WordPress-powered blog, JimRaffel.com, he shares stories about the successful use of social media and blogging to grow a business online. After developing a comprehensive social media strategy for his company ColorMetrix, he realized he needed implementation assistance and partnered with Shelby Sapusek, who he met on Twitter. After editing one of Jim’s blog posts, Shelby was inspired to offer an alternative opinion and their “She Said, He Said” blog post series was born. They now share their social media enthusiasm in a weekly Twitter chat accessible by following the #shehechat hashtag. Watch for Jim’s Twitter handle @raffel when you join the chat. 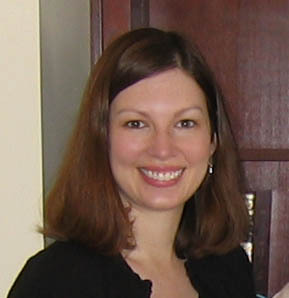 Laura A. Palmer is an assistant professor in the English, Technical Communication and Media Arts Department at Southern Polytechnic State University. 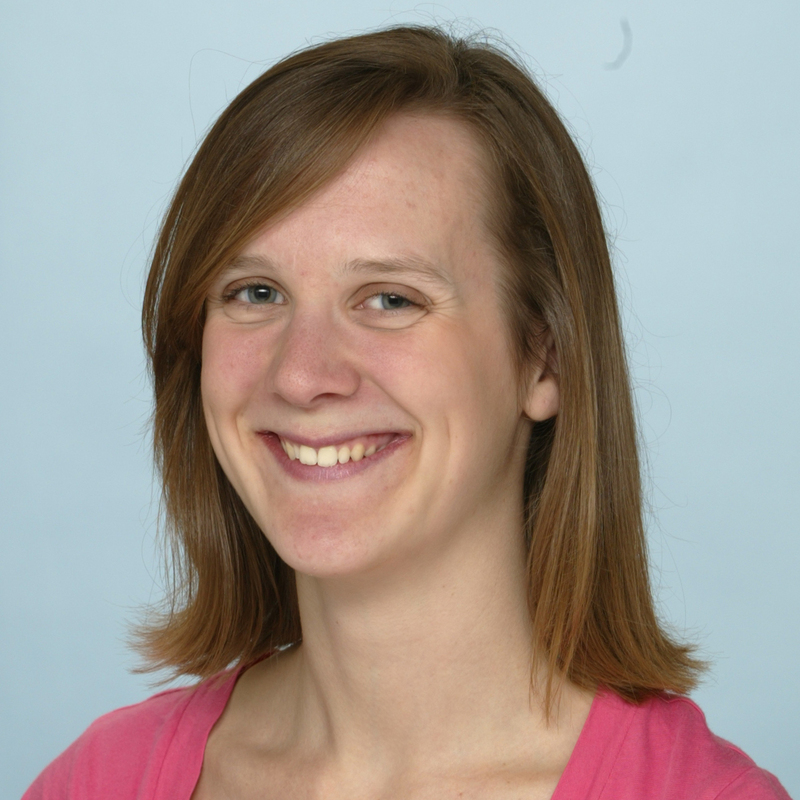 Her current research interests focus on the role of social media use for technical and professional communication. She is presently investigating social media practices in professional, not-for-profit, and educational sectors. Laura teaches in both the Information Design & Communication graduate program and in the undergraduate Technical/Professional Communication programs. This semester, she is introducing undergraduate students to integrated social media as professional practice via a special topics course. Sarah Milligan Weldon acts as Administrative and Research Support in the English, Technical Communication, and Media Arts Department at Southern Polytechnic State University. In addition to working with the undergraduate program and managing the department’s website, she is currently researching the use of social media by the SPSU student body. This project will inform strategies for reaching and engaging students in campus life through social media channels. 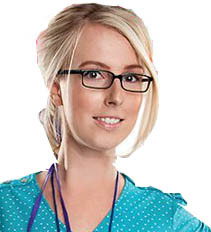 Sarah has also worked in the life insurance and financial industries as a marketing and compliance specialist. She received her degree in International Technical Communication from Southern Polytechnic State University. 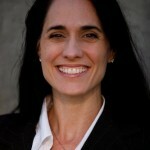 Laura Davis is the Chief Operating Officer and co-founder of AppedOn, a mobile app development firm. She is also co-owner of BlueSHIFT 7, a full-service digital marketing firm that specializes in web and custom software development. A hybrid of the design and strategic marketing fields, Laura Davis possesses an in-depth and versatile skill set based in creative problem-solving and advertising. Her ability to consolidate applied design with deliberated marketing into an innovative and effective product has earned her long-standing relationships with clientele. Laura has accumulated a sensitivity to the dynamics of Business to Business as well as consumer design and in-house marketing. Her design initiative includes brand identity, print, and environmental design, for which she has been contracted by companies including Controlled Chaos and Art Source International. Her experience permeates the industries of financial services, events, technology, and commercial flooring, with an emphasis on long-term productivity. Mrs. Davis is a graduate of the University of Georgia. is a social media and marketing consultant whose passion revolves around the way information is shared and the technology behind it. 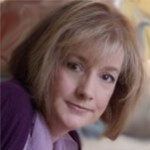 Jennifer Dunphy, V.P. of Sales and Marketing, for Atlanta based online marketing agency Vayu Media, has provided her marketing and public relations expertise to the business community since 2005. Jennifer graduated from Georgia State University, where she double majored in Physiology and Kinesiology. Through her efforts, Vayu Media has seen significant growth year after year. Jennifer has been nominated two years standing as one of the Small Business People of the year, through the Metro Atlanta Chamber of Commerce. She is a Google AdWords certified professional, as well as a SEMPO certified Professional. 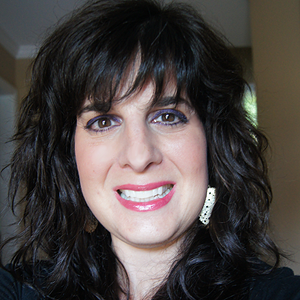 Jennifer currently focuses primarily on the marketing and public relations efforts for Vayu Media. Vayu Media is a global leader delivering a full range of integrated online marketing solutions, interactive services and high performance websites, for any company looking to be successful. The company’s approach is consultative, and focuses on the long term growth of their clients. Jennifer’s position consists of managing all of Vayu Media’s marketing initiatives, establishing re‐seller relationships, and overseeing the company’s sales efforts. Sosh Howell is the CEO of AppedOn, an app development firm with teams in Atlanta, Georgia and Asheville, North Carolina. He has over 10 years of experience in many aspects of online marketing, including SEO, software development, project management, and business automation. Currently he is focused on developing new technologies for AppedOn and educating businesses about app development. Beginning his career in Asheville, North Carolina, Sosh studied Information Technology at UNC Asheville before delving into Internet marketing and the (then-new) field of search engine optimization. While working for JBA Networks in Asheville, Sosh managed their Search Engine Optimization Department and, later, the Internet Marketing Department. After moving to Atlanta in 2007, he took over managing the Internet Marketing Department of Gas Products Company, where he also streamlined their Internet sales processes by creating customized software solutions. Sosh co-founded BlueSHIFT 7, a full-service digital marketing firm, in 2009, and expanded into the apps market one year later with AppedOn. 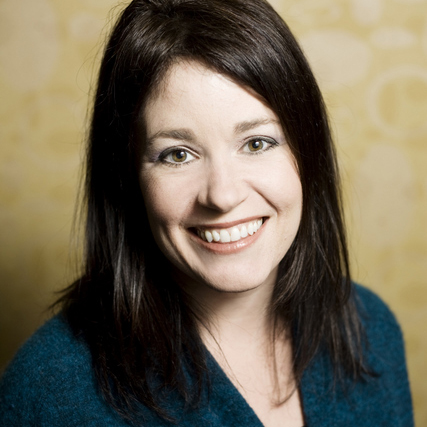 Sherry Heyl is the founder and CEO of Concept Hub, helping client build purpose-driven communities. Sherry has had the opportunity to work with a large variety of clients in Metro Atlanta playing key roles in the strategy and development of online communities for ATL Insider, Lens on Atlanta, and eRollover. 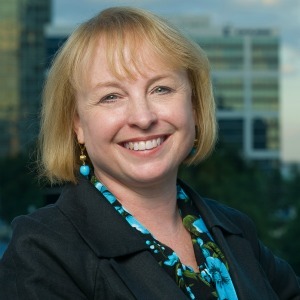 Sherry was the founder and Chair of SoCon (social media) Conferences as well as the founder and past-Chair of TAG Enterprise 2.0 society. Sherry has over a decade of experience in B2B business development and holds 2 undergraduate degrees from Florida State University; Business Marketing and English with an emphasis in Creative Writing. As a digital strategist and word-of-mouth marketer on Ogilvy Public Relations’ 360° Digital Influence team, Brian develops social media strategy and manages the execution of integrated campaigns, online community engagement and influencer relations. Brian believes that we are each defined as the sum of everything we’ve done, everywhere we’ve been and everyone we’ve met. For this reason, Brian is passionate about pervasive creativity – a belief that big ideas and remarkable content can come from anyone, anywhere, at any time. Constantly curious about the world around him, and drawing on unique experiences to connect the dots toward big ideas, Brian leverages a formal education with travel, entrepreneurship and passionate creativity to ignite vision for his colleagues and clients. In addition to his creativity and professionalism, Brian is recognized as “having an eye for spotting trends” and an “ability to look beyond the obvious to find opportunity.” Prior to entering the agency world, he worked as an entertainment consultant and artist manager in Nashville, Tenn. Brian holds a bachelor’s degree in Business Administration from Furman University in Greenville, S.C., and a master’s degree in Marketing from Golden Gate University in San Francisco, with certificates completed at Australia’s Griffith University in Brisbane, QLD. Mathilde Piard is the social media manager at Cox Media Group (11 broadcast television stations, 86 radio stations, four metro newspapers, more than dozen non-daily publications and 130 websites). In her role, she consults with the publications and stations on the best ways to leverage social media and engage communities, is the product owner for social features and functionality integrated across all Cox Media Group websites, handles social media strategy and manages social media related partnerships and business development. 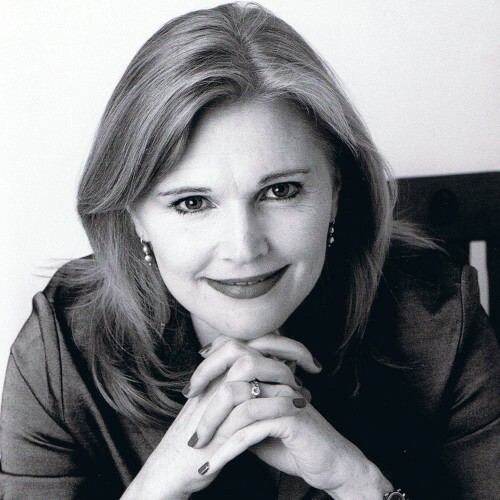 Prior to joining Cox Media Group, Mathilde served as an internet producer at The Palm Beach Post, a Cox newspaper. There she helped design and implement social media innovations for the newspaper and contributed to directing the blogging and social networking training for reporters and editors. Mathilde earned her degree in new media at the Columbia University Graduate School of Journalism. Keith is a designer and photographer from Boston, Massachusetts. He has spent the last decade at advertising agencies such as IQ Interactive, BBDO & Schematic and is now working as a Creative Director at Razorfish. He also teaches interactive design and advertising at Savannah College of Art & Design in Atlanta. Keith has been part of the mobile photography community since 2009 and his work has been featured in a variety of magazines, books, and galleries around the world. In 2011, he was published in “The Art of iPhoneography” with 9 other artists that focused on mobile creativity and photography. Currently, he’s focused on an on-going personal photography project called 10 CITIES that’s been taking him all over the globe with family and friends for the past 2 years. Keith lives in the Atlanta area with his wife and 2 children. 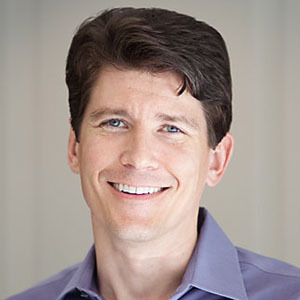 Doug Gross is a reporter covering technology, social media and the Web for CNN.com. 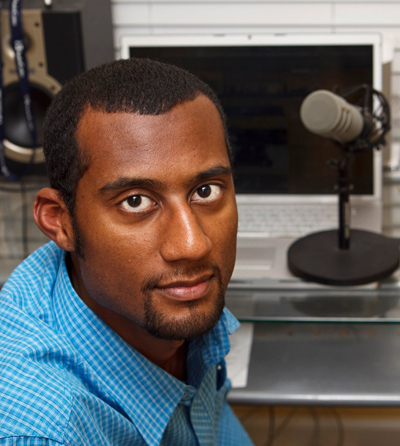 He is the host of CNN.com’s weekly Tech Check podcast and has previously worked as an editor for the CNN Wire and as a reporter at the Associated Press, Morris News Service and the Savannah (Ga.) Morning News. When not keeping an eye on the tech world, Doug spends time chasing around a 1-year-old, reading fantasy and science-fiction novels and crafting a survival plan for the zombie apocalypse – not necessarily in that order.